Shippers expect to put more freight on railroads next year as concern persists about how the electronic-logging device mandate will tighten trucking capacity in 2018, according to a Cowen and Co. survey. That said, shippers also state that CSX continues to have service problems while noting that conditions gradually are improving. On availability of truckload capacity in 2018, 57% of shippers are “somewhat” concerned and 23% are “very” concerned. Only 20% of shippers believe that trucking capacity will be adequate next year, despite storm recovery and rebuilding efforts and the upcoming implementation of the ELD mandate. Congrats to Cowen transportation analyst Jason Seidl on his appointment to President of the North East Association of Rail Shippers! The survey also found that 54% of shippers expect to use more carloads in 2018 compared with this year. Ahead of the ELD mandate, the truckload business environment is thriving due to several factors. Cowen reports dry-van rates were up 17% year-over-year in September due to a stronger economy, more freight and the hurricanes in Texas and Florida. Cowen hosted its 10th Global Transportation Conference in Boston on Sept. 6-7. “It could take 1½ to two years before midsize companies are able to utilize the data from ELDs effectively and fully reorganize their networks, according to some truckload executives at our conference. They agreed that the economy, broadly speaking, was improving, and mid-July was more or less the turning point. One executive said ‘the market has gone bonkers’ in recent weeks,” Seidl said. Trucking also has benefited from service woes on the CSX network on the East Coast. A majority of shippers — 53% — told Cowen that they’ve shifted rail carriers or transportation modes in recent months, including 15% to trucking. Others attempted to move freight to Norfolk Southern Corp.
“It remains to be seen how much of this shift may be temporary, but our channel checks suggest that, at least regarding freight that went to [Norfolk Southern], the Eastern competitor was fairly selective and, in some cases, demanded longer-term commitments from customers switching from CSX,” Seidl wrote. Of the shippers, 63% report that CSX’s service is “fair” or “poor” but improving, while only 20% indicated that conditions are worsening. 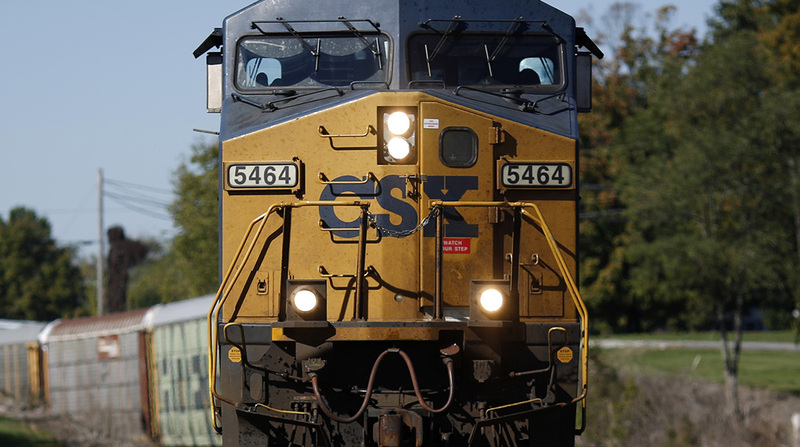 CSX will face federal regulators and upset customers at an Oct. 11 listening session at the Surface Transportation Board in Washington. The survey was conducted at the North East Association of Rail Shippers conference in Pittsburgh on Sept. 26-28. More than 300 attendees were on hand.